It’s no secret that Shelby residents are careful about how they choose medical professionals for their family, but sometimes it’s not easy to find everything you want in a dentist. We at Discovery Dental understand that choosing a dentist is no small feat, so we’ve put together this guide to picking a dentist for individuals and families. If you have any questions, don’t hesitate to call us! 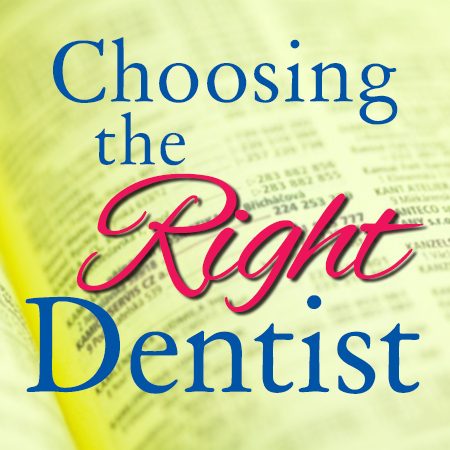 Even if you decide on a different dentist, Dr. Miller is always happy to help! There are a lot of factors to consider when looking at dentists in your area. For some Shelby folks the most important thing is proximity, so it’s easy to narrow their search by location. For others, the key ingredient is affordable prices. Still others may be looking for just the right service mix and supreme comfort. The easiest way to start your search is by setting your top three priorities. These may be location, cost, and comfort, or good reviews, service mix, and same-day appointments. Whatever is most important to you should be at the top of your list. Once you have an idea of what you need and what you want, the process becomes much easier. At the end of the day, it’s all about your experience at the dentist. That’s why Dr. Miller suggests asking friends and family to recommend a dentist they trust. Once you’ve found a doctor that might fit, schedule a consultation. Most insurances will cover consultations with multiple dentists (but not multiple x-ray consultations with one dentist), so feel free to shop around. When you go in, try to get a sense of how it feels to be a patient there. If you would like to learn more, or have a professional walk you through this process over the phone, give us a call! We love to help Shelby residents find the dental care they need!